What Makes a Successful Green Star Rated Building? 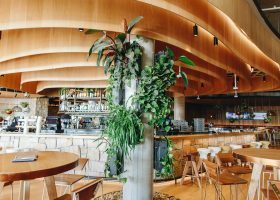 What’s the secret to potentially gaining a four, five or six Star Green Star rating from the Green Building Council of Australia? A quick glance at some standout Green Star rated projects as seen in the ‘case studies’ section of the GBCA’s website shows that a few common themes emerge for buildings with high Green Star ratings. While some of them may seem obvious, such as using a rainwater tank to supplement a building’s water supply, there are often unique measures taken to maximise use of such resources. 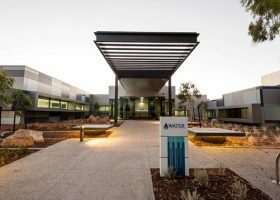 Of course it makes sense to include common energy efficient features such as solar hot water systems in a sustainable building – in fact, such measures helped the 5 Star Green Star rated Flinders Medical Centre save $400,000 in energy costs per year. Another option is to use smart air conditioning systems (if air conditioning needs to be used at all), such as a zoned system that uses the “Shaw Method” to deliver cooling and heating directly to where it may be needed, separating humidity from temperature processing to prevent overcooling. This can halve energy consumption. Energy savings can be built into the building’s design in a range of different ways. The façade of the Melbourne Convention and Exhibition Centre, which earned a 6 Star Green Star rating, uses spectrally-selective glass to reduce heat gain, coupled with a shading device to help shield the façade from the summer sunshine while allowing it to warm the building during winter. Or you can take inspiration from the One Central Park building at Central Park, where the façade is covered with greenery from plants. Rainwater tanks can contribute to saving precious water resources and can, in some instances, offer savings for the running costs of a building. For example, the 5 Star Green Star rated Redfern Housing Redevelopment project utilises a combination of rainwater tanks and greywater treatment systems for flushing toilets, doing laundry, and landscape irrigation. Combined with the use of water-efficient fixtures (such as showerheads) throughout the development, these measures manage to supply about 45 per cent of the total water demand across the site, reducing the need to rely on potable water. Similarly, at Williamstown High School (which earned a 5 Star Green Star rating), rainwater collection systems delivered a 90 per cent reduction in the use of potable water – a great achievement. Being smart with water usage doesn’t only benefit the building owners or those on-site, it also benefits the surrounding environment. The Perth-based City of Gosnells Civic Centre Redevelopment Project installed a system for collecting and filtering stormwater before it enters the nearby river, helping to improve the river’s health by reducing run-off contamination. One factor impacting indoor environmental quality is simply the amount of natural light and available external views. By maximising the amount of floor space from which building occupants can view the outdoors, and by maximising incoming natural light, this can have a beneficial effect when it comes to lowering stress levels and improving the well-being of those inside the building – an important consideration for medical centres and hospitals. Another factor affecting indoor environmental quality is the quality of air inside. Here, eliminating the source of indoor air pollutants is key. This can be achieved by choosing paints, furnishings and fittings that emit no, or very few, volatile organic compounds (VOCs) which can have a detrimental effect on indoor air quality. A good way to ensure products are likely to meet certain requirements for Green Star is to check for third-party certification such as the Good Environmental Choice Australia ecolabel. This can then be augmented with good natural ventilation that can dilute any remaining pollutant build up inside. Management – of staff, resources and funding – plays a huge part in determining a Green Star rating too. For instance, in recognising the strong links between Indigenous Australians and the suburb of Redfern, the Redfern Housing Redevelopment Project scored an ‘Innovation’ point by employing a minimum of 20 Indigenous workers while constructing the project, empowering the community. A ‘green building fund’ can be established for a project by setting aside a small percentage of the project’s total cost. The Spot at Melbourne University reserved five per cent of the project’s total cost for known green building works as well as a contingency fund to cover unknown expenses associated with Green Star ratings tools. The Spot also made use of demountable partitions to give flexibility to the space. That means relocating the modules is easy, reducing waste and operational impacts. A sustainable procurement guide is an important tool to ensure all purchasing decisions for the building are in line with its sustainable ethos. Developing such a guide earned the Flinders Medical Centre a credit in the Management category.